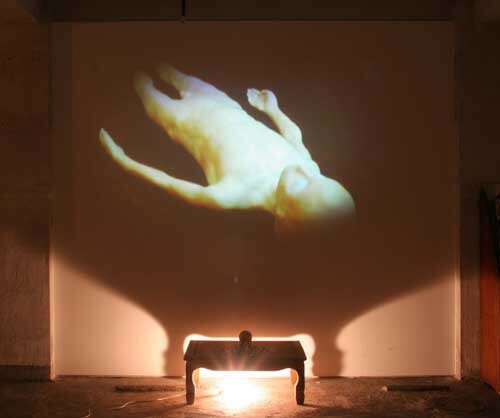 This work is made up of a projected film and objects. The artist makes a clay body that contains various found objects which the artist has collected. Gotou then dissects the body with a knife and picks objects out like an operation. The objects are placed on a table in the exhibition space.